The Starless Queen is plotting an invasion of Spera, and has sent the merciless General Zeal to secure its capital. Unfortunately for her, the Queen's obsession with killing Princesses Pira and Lono--her only daughter, and the last link to a conquered kingdom--has resulted in the pair learning of her plans through captured scouts. 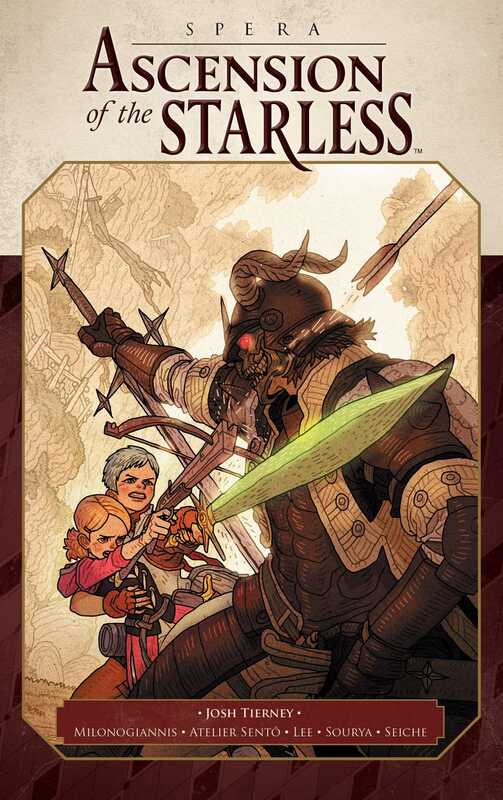 What began for the princesses as a hunt for treasure is now a perilous journey to warn the Speran King, leading Pira and Lono up a monster-infested mountain, through a village populated For new fans, this volume provide a great jumping-off point to start fresh within the world of Spera. For returning fans, it’s the start of a grand, new adventure, bigger and more dangerous than ever before, with all your favorite characters!